It was nearly a decade ago when three ex-Amazon.com engineers founded A Thinking Ape, building a company around some of the most popular (and addictive) mobile games. 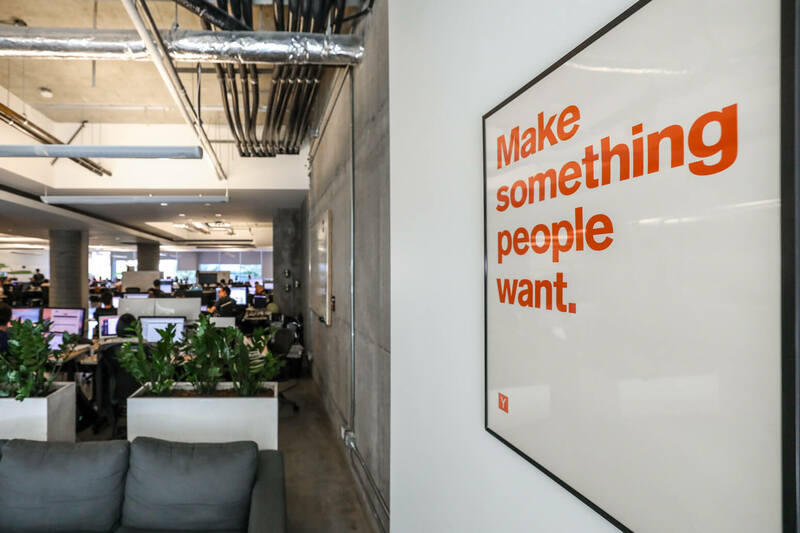 Mobile entertainment wasn’t always the goal though—the Vancouver studio started with a completely different business idea: a messaging app. Co-founders Kenshi Arasaki and Wilkins Chung spun a startup out of Silicon Valley’s Y Combinator in 2008. They added Eric Diep to the mix when the duo decided to leave behind the messaging dreams, pivoting into the world of community-driven gaming. A Thinking Ape–or ATA for short–and its three co-founders undertook a new mission to change how people socialize and play on mobile. After relocating to Vancouver in 2010, the team set themselves up in a downtown coffee shop. 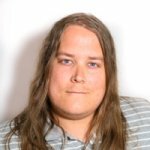 Since then, ATA has grown to over 60 employees who have launched four free-to-play mobile games: Kingdoms at War, Party in My Dorm, Casino X and SMASH Monsters. 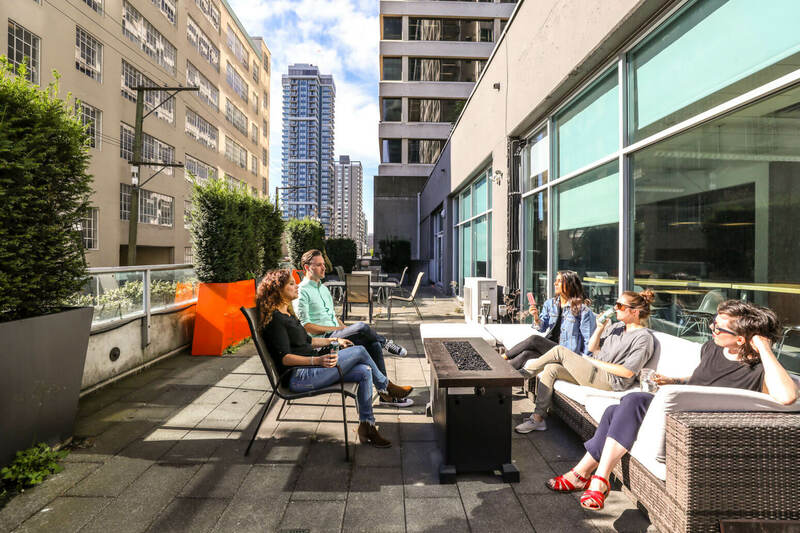 Six years and three offices later, ATA has settled into a new Vancouver space and they are committed to building a studio with a true hacker culture. It is here where the ‘Apes’—an internal nickname—have just delivered the studio’s latest title Kingdoms of Heckfire, launching November 20, 2017. 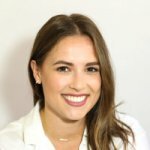 Tens of millions of players have downloaded their games and, with that, ATA has built some of the strongest mobile game communities around the world. Today, they are one of the top grossing developers on Apple’s App Store and Google Play globally. 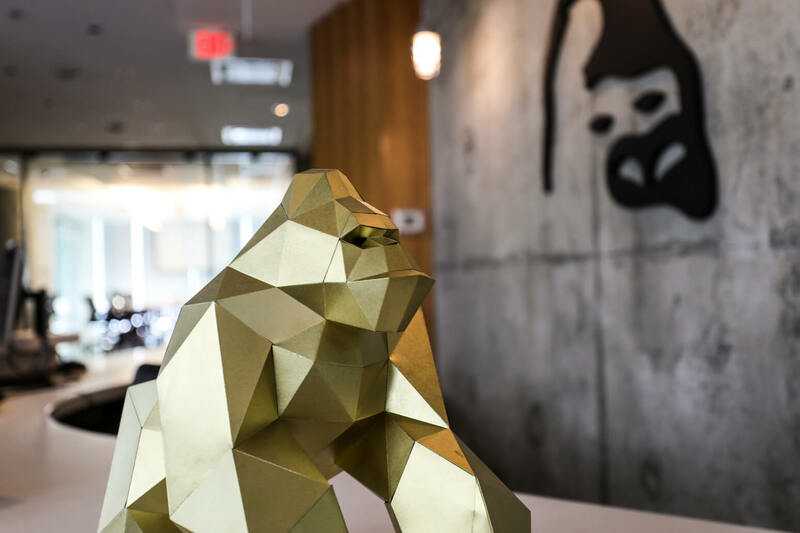 A Thinking Ape took over its downtown Vancouver office from an ideal tenant: B+H Architects, who designed the main footprint of the space. 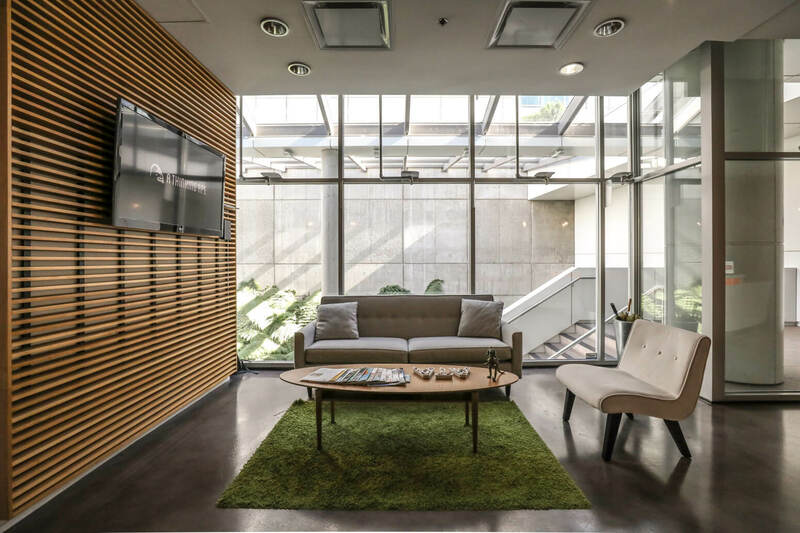 The office’s minimalist look embraces a mix of materials with polished concrete floors, wooden feature walls and floor-to-ceiling windows. 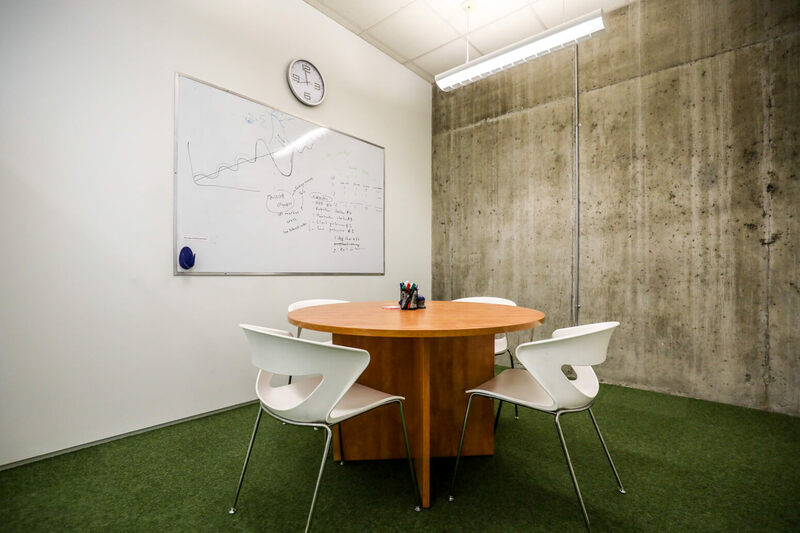 The open workspace is complemented by casual collaborative spaces and breakout rooms for team meetings, interviews and brainstorming sessions. 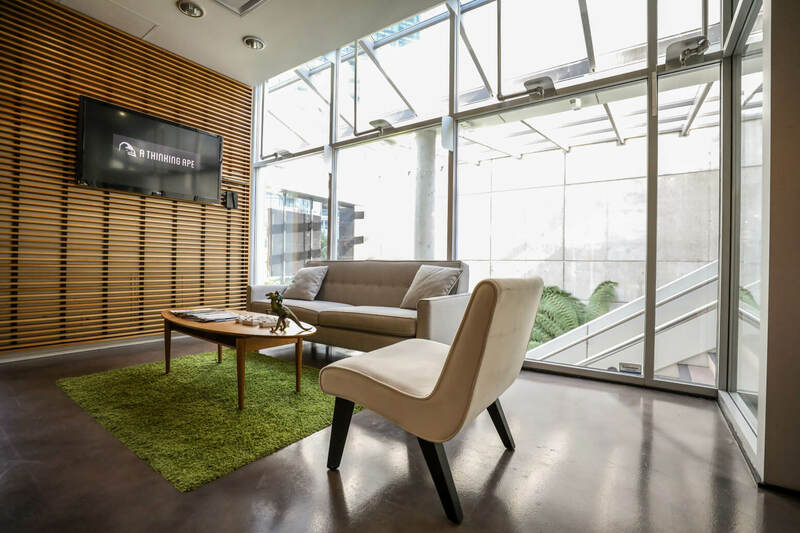 When silence is needed, designated quiet areas are the go-to for ultimate focus. 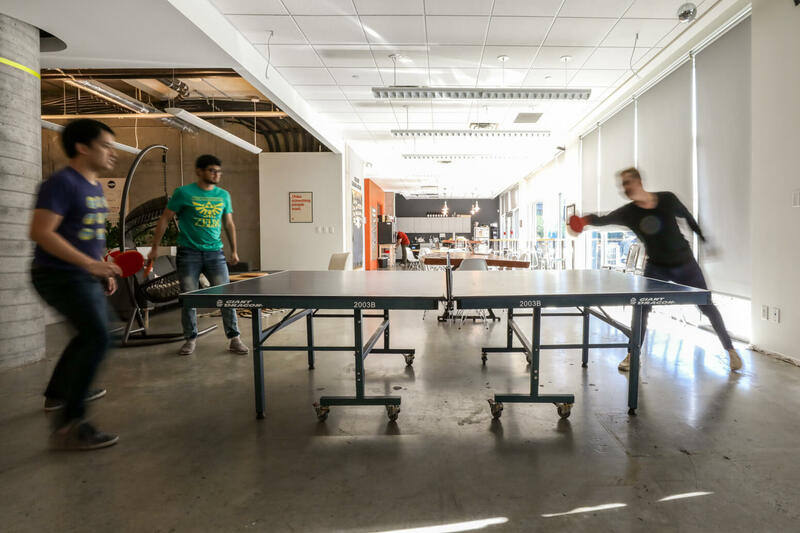 ATA houses creative, product, engineering, people operations, and play experience teams. 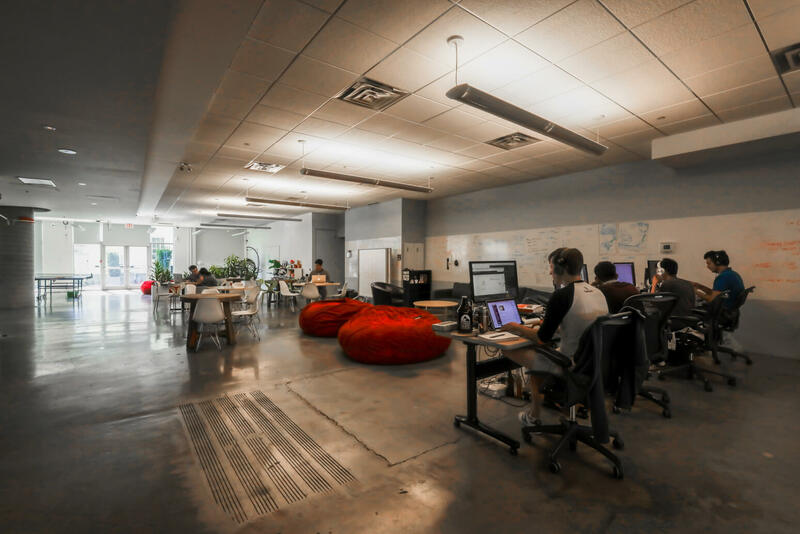 Each team operates as a business unit, working in a distinct area with team leads sitting side-by-side in pods. 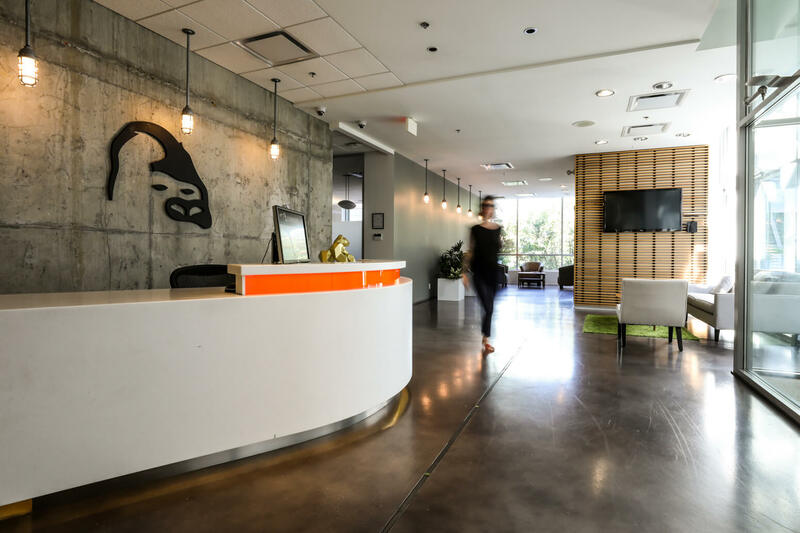 ATA gives their teams the creative freedom to truly own their work. 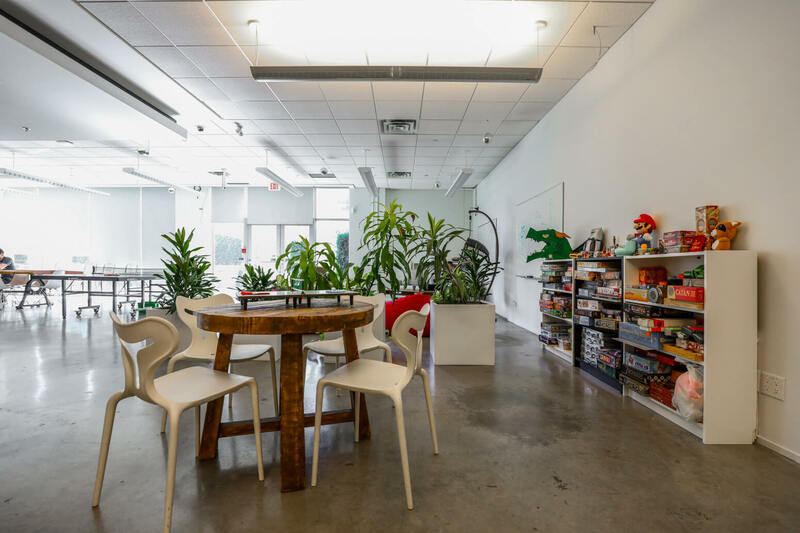 The company’s mix of software engineers, game designers and artists work together on new product developments, taking advantage of the endless whiteboard space to help capture the creative design process. 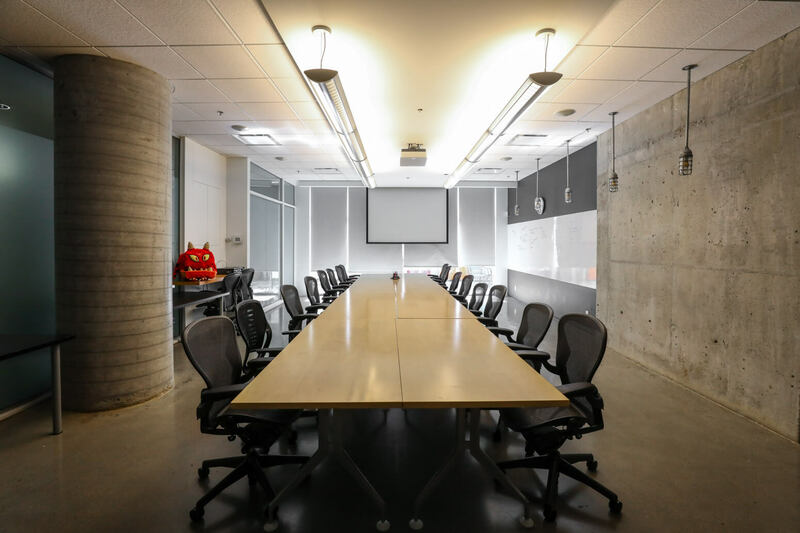 The meeting room names don’t follow a specific theme, ranging from movie classics like the Room of Requirement to more tongue-and-cheek descriptions like ‘Frank Exchange of Views’ and ‘Five Minutes’. 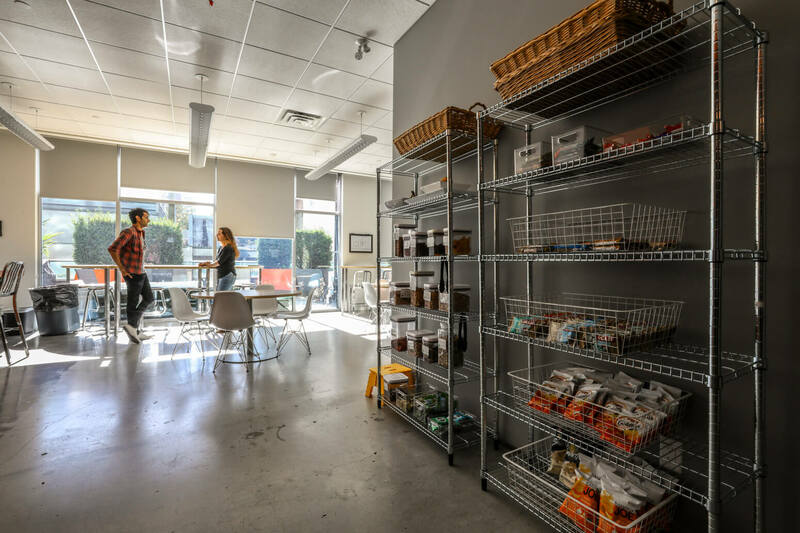 ATA is a food-centric workplace, offering catered lunch every Wednesday and keeping their pantry stocked with grab-and-go snacks like nuts, granola bars and popcorn. Fruit is seasonally selected and delivered weekly, along with veggies, cheese and yogurt. ATA caps off the week every Friday afternoon with beer, cider and booze-free drinks in the kitchen. Apes look for any reason to throw a food-focused celebration, from National Doughnut Day to multicultural holidays like Diwali. The Banana’s are a little on-the-nose. Coffee is fuel at ATA. The two in-house coffee machines grind through about 10 pounds of beans a week in espresso andf fresh brew. Even with all that caffeine flowing through the hallways , it’s not uncommon to spot an employee down the block at staff favourite JJ Bean, a local B.C. coffee company. 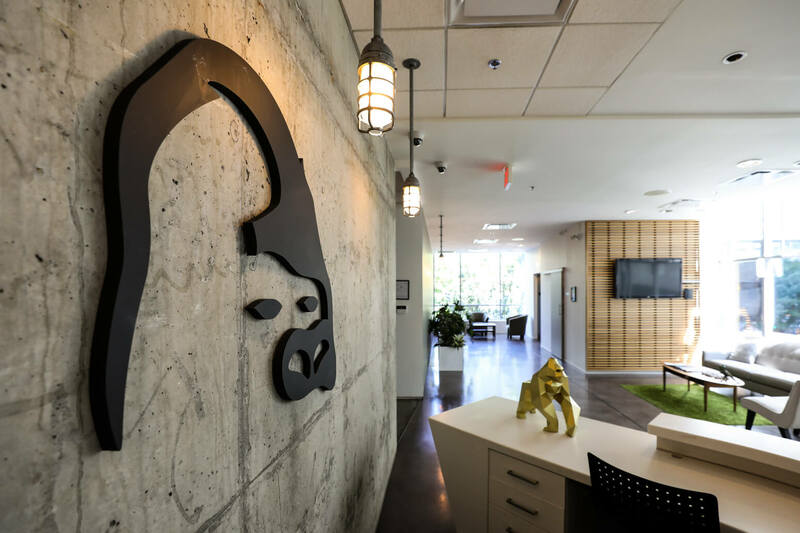 As a gaming company, the lines between work and play are a bit blurred at A Thinking Ape. 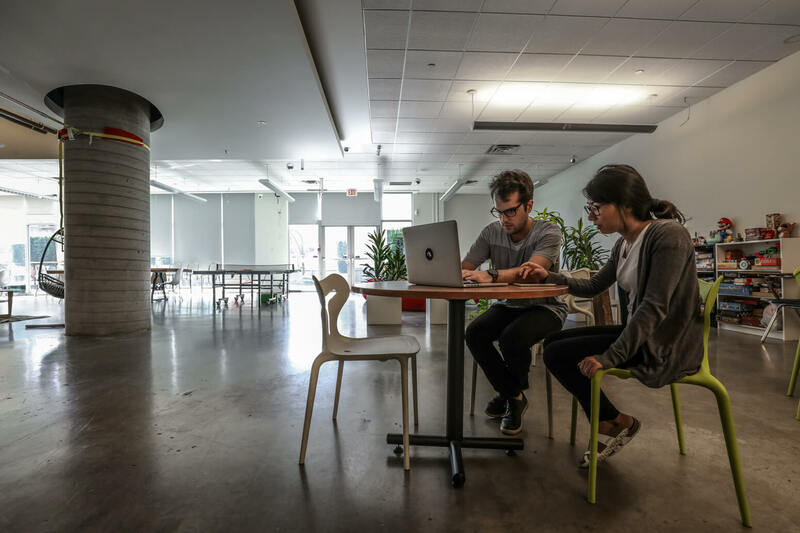 The studio has attracted like-minded creatives that balance working hard with having fun. 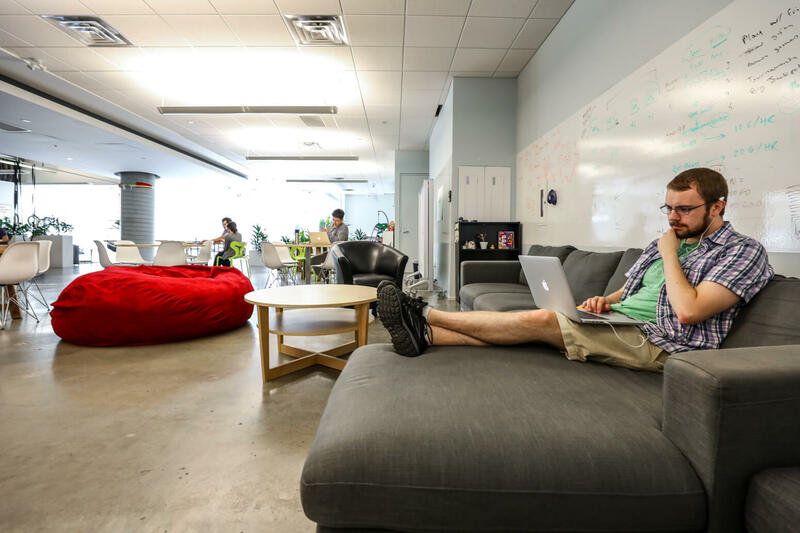 While the company’s focus is on growing gaming communities online, they’re equally committed to developing a strong internal community. 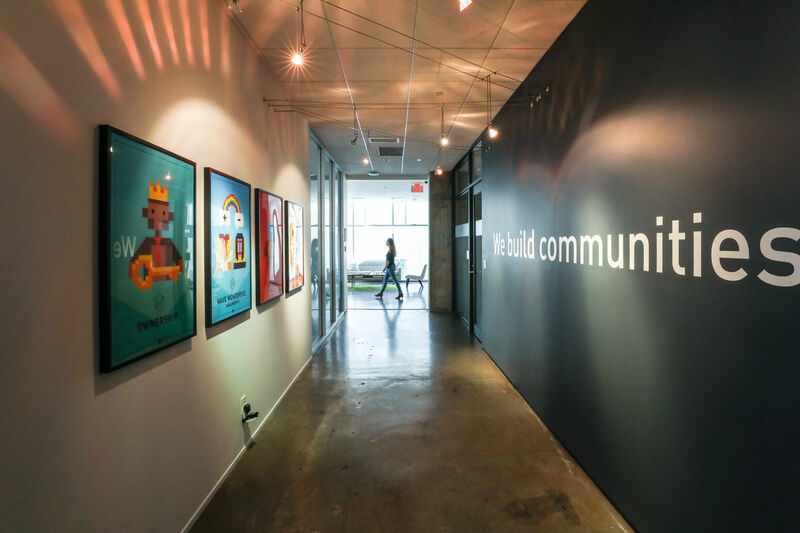 The company’s mission, “We build communities,” is emblazoned on the wall as a daily, visual reminder of ATA’s goal to create great games with massive online followings. ATA’s four core values are represented on hanging posters down the main hallway: ownership, have wonderful arguments, the best ideas win, and keep growing. Transparency, open communication and listening are key tenets of ATA’s culture. To ensure the company is meeting the values that they preach, ATA evaluates employee satisfaction during quarterly surveys. 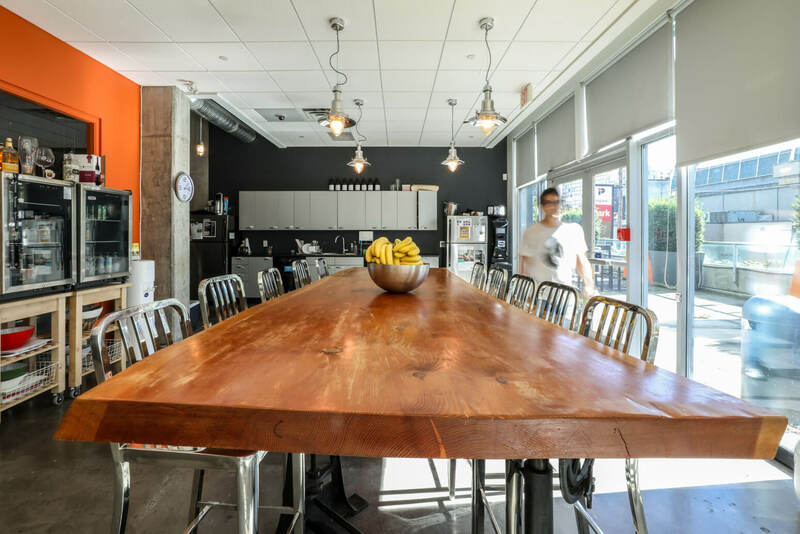 The quarterly company-wide town hall—dubbed State of the Apes—keep teams in the know. 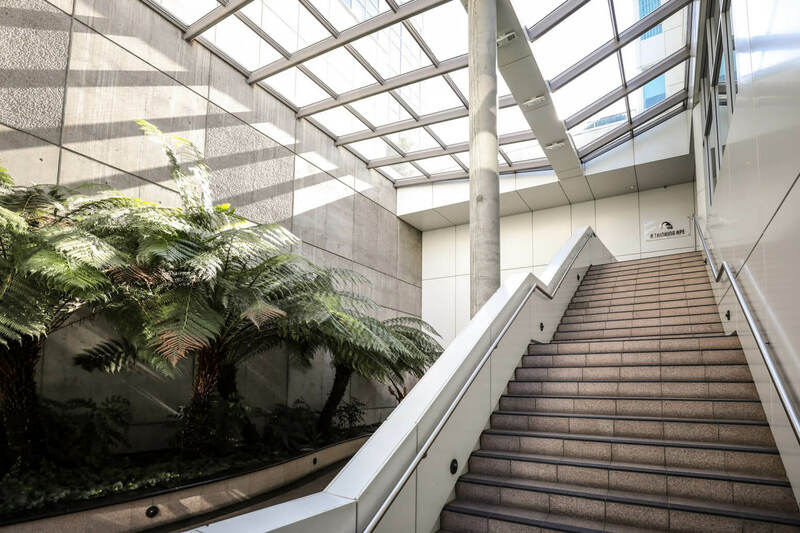 The Apes can tap into a wellness reimbursement for fitness expenses like gym memberships and athletic gear, and sign up for in-house yoga and workout classes too. 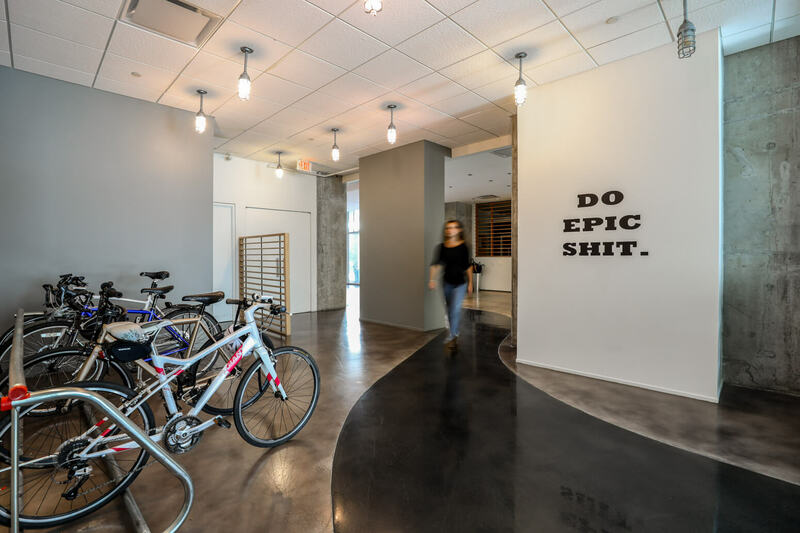 Bike storage and showers encourage employees to skip the SkyTrain and roll into the office on two wheels. Traditional lunch and learns are swapped for bi-monthly Trade Secrets and War Stories sessions. Hosted by employees, the lunchtime meetups are a chance to talk about problems they’re solving and the tools being used. ATA also invites speakers to share their expert knowledge on a wide-range of topics like nutrition, financial planning, mindfulness and meditation. Industry-specific topics like Unity training are also on the table. The company’s professional development program reimburses employees up to $1,500 each calendar year for educational training that supports their career development. 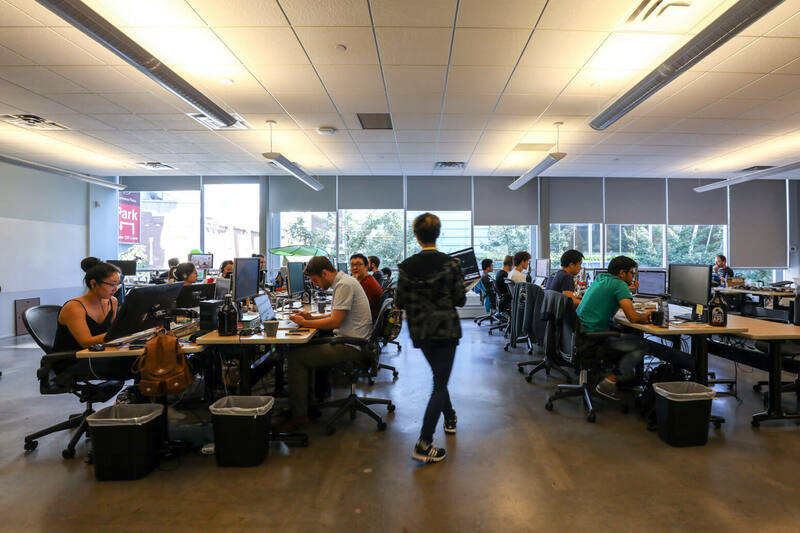 Part team building and part product development, the annual three-day GameJam hackathon lets team put their usual work aside and get creative. This year, teams were challenged to spin out new games in the realm of the company’s newest title, Kingdoms of Heckfire. A Thinking Ape celebrates birthdays and company anniversaries, gifting branded jackets and backpacks to mark three and five-years with ATA. 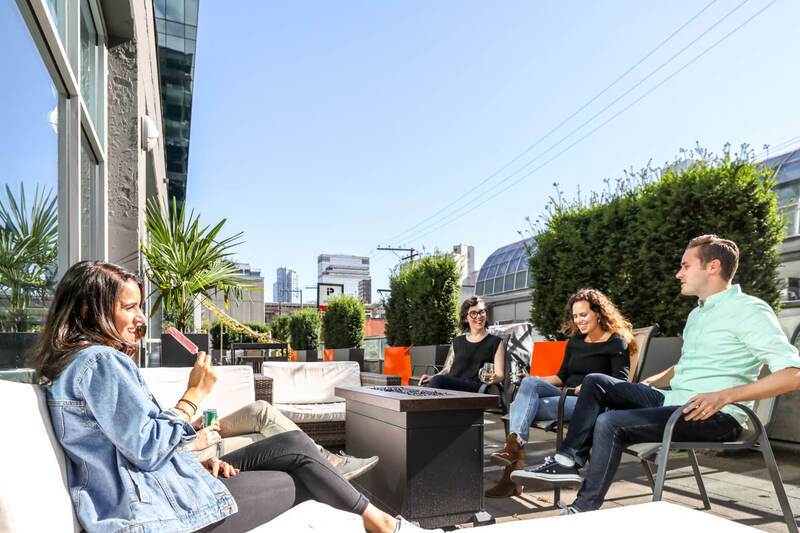 Everyone gets in on the fun during the notorious summer and holiday parties, on top of the frequent company-wide team building outings. ATA backs a hockey team and dodgeball team, both called The Rampage. If sports aren’t your thing, ATA has a trivia-loving group that ventures around Vancouver every Wednesday night. 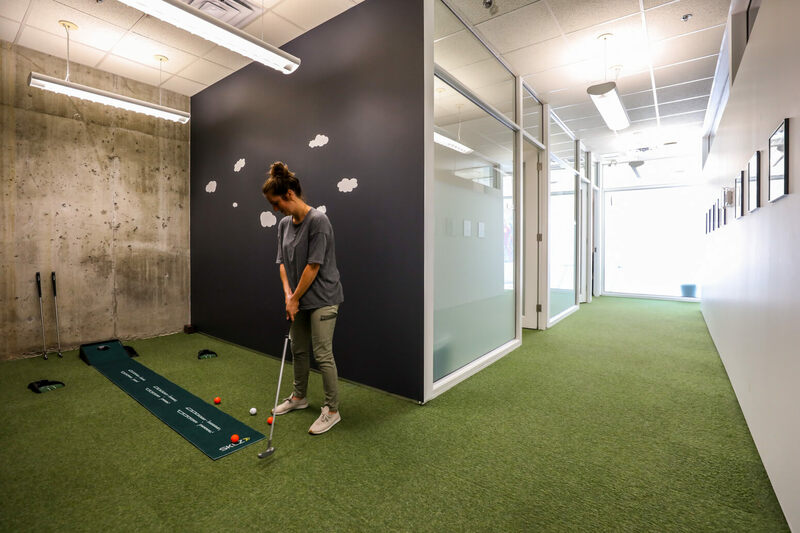 Employees can peel their eyes off their desktop screens at lunch for a quick game of mini-putt, foosball or ping pong. 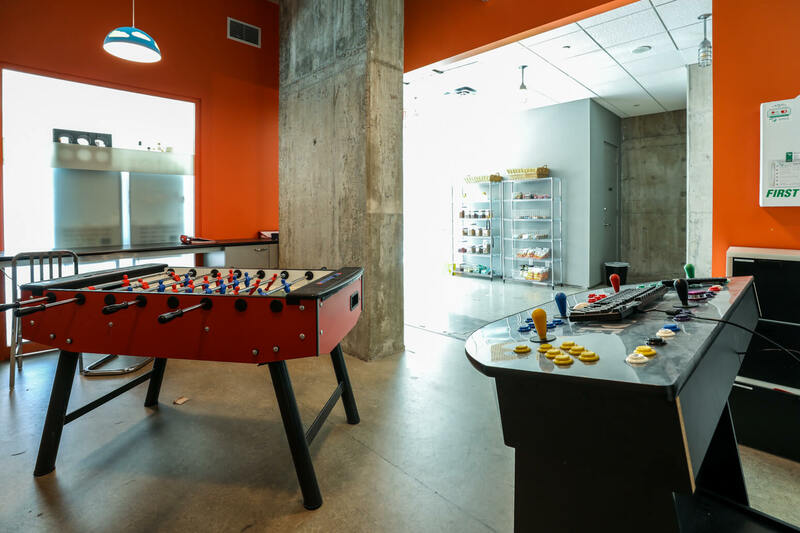 Of course, a gaming company wouldn’t really be complete without its own media room with gaming consoles.